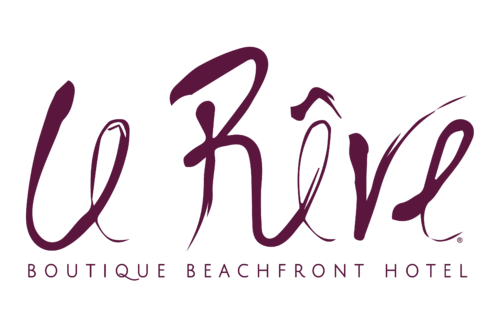 This Privacy Statement applies to www.hotellereve.com owned and operated by Le Reve Hotel & Spa - Boutique Beachfront. This Privacy Statement describes how we collect and use the information, which may include personal data you provide on our web site: www.hotellereve.com. It also describes the choices available to you regarding our use of your personal data and how you can access and update this data. D. Marketing activities: We also use your data for marketing activities as permitted by law. Where we use your personal data for direct marketing purposes, such as commercial newsletters and marketing communications on new products and services or other offers, which we think may be of interest to you, we include an unsubscribe link that you can use if you do not want us to send messages in the future. F. Analytics, improvements and research: We use personal data to conduct research and analysis. We may involve a third party to do this on our behalf. Also, we may share or disclose the results of such research, including to third-parties, in anonymous, aggregated form. In short, we use your personal data for analytical purposes, to improve our services, to enhance the user experience, and to improve the functionality and quality of our online travel services. G. Security, fraud detection and prevention: We use the information, which may include personal data, in order to prevent fraud and other illegal or infringing activities. Also, we use this information to investigate and detect fraud. We can use personal data for risk assessment and security purposes, including the authentication of users. For these purposes, personal data may be shared with third parties such as law enforcement authorities as permitted by applicable law and external advisors. H. Legal and compliance: In certain cases, we need to use the information provided, which may include personal data, to handle and resolve legal disputes or complaints, for regulatory investigations and compliance or to enforce agreement(s) or to comply with lawful requests from law enforcement insofar as it is required by law. If we use automated means to process personal data, which produces legal effects or significantly affects you, we will implement suitable measures to safeguard your rights and freedoms, including the right to obtain human intervention. In view of purposes C-H, we rely on its legitimate interests: We use your data for our legitimate interests, such as providing you with the best appropriate content for the website, emails and newsletters, to improve and promote our products and services and the content on our website and for administrative, fraud detection and legal purposes. When using personal data to serve our legitimate interests, we will always balance your rights and interests in the protection of your information against our rights and interests. If needed in accordance with applicable law, we will ask your consent. You can withdraw your consent any time by contacting us at any of the addresses at the end of this Privacy Statement. If you wish to object to the processing set out under C-F and no opt-out mechanism is available to you directly (for instance in your account settings) to the extent applicable, please contact [email protected] . We observe reasonable procedures to prevent unauthorised access to, and the misuse of, information including personal data. We use appropriate business systems and procedures to protect and safeguard information, including personal data. We also use security procedures and technical and physical restrictions for accessing and using the personal data on our servers. Only authorised personnel are permitted to access personal data in the course of their work. You can inform us of any changes to your personal dat, or you can ask us to correct any of the personal data we hold about you. In certain situations, you can ask us to erase or block or restrict the processing of the personal data we hold about you or object to particular ways in which we are using your personal data. We rely on you to ensure that your personal data is complete, accurate and current. Please do inform us promptly of any changes to or inaccuracies of your personal data by contacting [email protected] . We will handle your request in accordance with the applicable law. If you have questions or concerns about our processing of your personal data or if you wish to exercise any of the rights you have under this notice, you are welcome to contact us via [email protected]. You may also contact your local data protection authority with questions and complaints. Just as our business changes constantly, this Privacy Statement may also change for time to time. If you want to see any changes made to this Privacy Statement, we invite you to access it for this purpose. If we make material changes or changes that will have an impact on you (e.g. when we start processing your personal data for other purposes than set out above), we will contact you prior to commencing that processing.